Hi, I’m Sarah. Welcome here! Imagined Landscapes is my new online home. I’ve been blogging for more than 10 years, but always with a focus on homeschooling and family life. Things are changing though. My oldest is now in university, and my youngest has always been much more private about his life. So the time is right for a new home where I’m free to focus on my passions – knitting, travel, photography, and adventures. And, of course, now that my time as a homeschooling mama is winding down, my thoughts are turning to ‘what I want to be when I grow up?’. It seems odd to be reaching the middle and the beginning at the same time in life, but the world is opening up to me again. I have a huge passion for knitting, and recently I’ve been inspired to stop designing just for my family and start sharing those designs with others. I’ve got swatches and sketches tumbling out of my notebooks all over the house and I’m really excited to tell you about them. What will you find here on this blog? My makings, whether it is my own pattern or a pattern I’m loving from someone else. My photos, since I love framing small beauties around me. My goals, as I like setting challenges for myself. My expeditions: whether it’s a walk down the gravel road just outside the city or a visit my husband’s hometown in Germany, I find so much inspiration in the landscapes around me. I’ve got a gallery of my designs started here. It’s small now, but expect a flurry of patterns this fall. You can find me on Ravelry here. I look forward to sharing my creativity with you! Congrats on your new space! I have been following your blog for at least ten years I think, from when I first began knitting! Your blog also got me doing my first couch to 5k (which led to me being fit enough to survive basic training a few years later, so thank you!) and also has made me more open minded about home schooling. 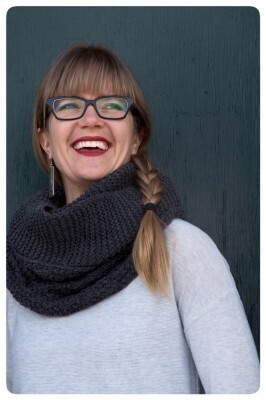 I look forward to following your more knit/design side here! Thanks, Crystal! Glad I got you into running – that is one of my favourite things to hear.